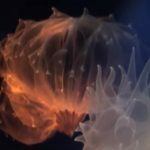 Palys and Zoas are two of the most abundant and popular types of soft coral in the aquarium trade, but they come with a small drawback… they’re potentially deadly. To varying degrees, these corals contain one of nature’s most potent poisons—palytoxin—which is capable of causing just about every type of unpleasant symptom one can imagine. The medical literature is now full of cases reporting extended hospitalizations that have resulted from well-meaning aquarists attempting to remove zoantharians from live rock. 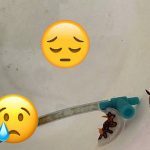 One common technique for this, often recommended on aquarium forums, is to pour boiling water directly onto the affected rock and to scrub away the disintegrating polyps. This is indeed a highly effective method for killing a coral, but it’s also just as effective at aerosolizing the palytoxins contained within the coral’s tissue. Within minutes, this can cause severe breathing problems, heart problems, fever, fatigue and more. But even something as simple as a small cut on a finger can lead to identical symptoms, and, for those unlucky few who have had palytoxin squirted directly into their eyes, the results can be quite horrific, with short-term vision loss and painful lesions resulting. Colorful palys like these (Left: P. heliodiscus? Right: P. cf toxica?) are potentially deadly. Are they worth the risk? So what’s an aquarist to do? Obviously, it’s wise to avoid species that are known to harbor particularly high levels of palytoxin. As I’ve written about previously, the main culprits here are Palythoa cf toxica and P. heliodiscus, which have been implicated in seemingly every case where an identification of the offending coral is known. 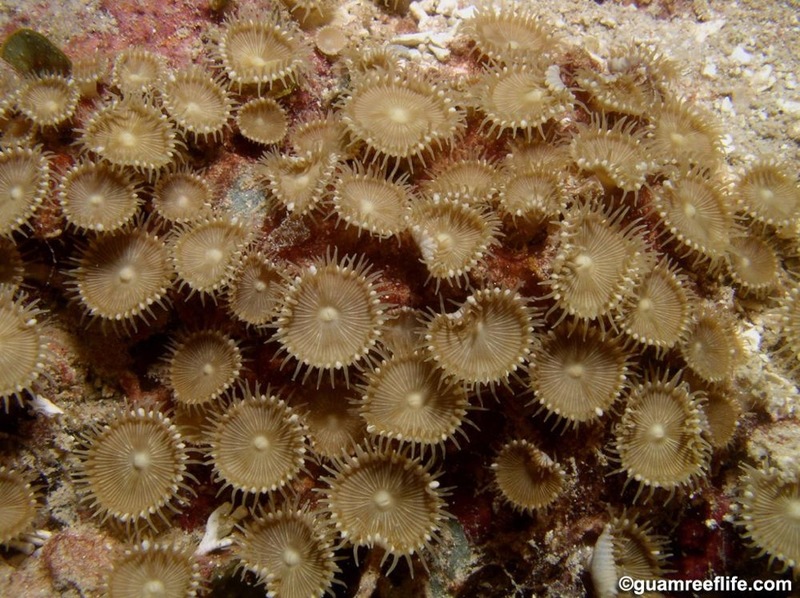 Palythoa tuberculosa is another suspect species, as is P. grandis from the Caribbean, but, curiously, one of the most frequently available species—P. mutuki, known commonly as Button Polyps—seems to lack this potency. 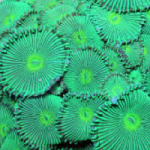 The same can probably be said for species of Zoanthus, which have yet to show significant levels of palytoxin or to be implicated in a case of aquarium poisoning. I can attest to this anecdotally, as I’ve had a droplet of mucus from Zoanthus sansibaricus find its way onto my eyeball, which resulted in little more than some temporary redness. This common aquarium phenotype is P. cf mutuki. Note the relatively long tentacles and smooth (rather than ridged) exterior. This species seems to have little, if any, palytoxin, but more study is needed to confirm this. But if you happen to already have a species known to be toxic, then what? One of the most invasive corals in a reef tank is P. cf toxica, as it can quite easily spread to cover every square inch of live rock, smothering more desirable species in the process. If you value your health, the safest course of action is to carefully remove and discard every piece of rock that has been colonized, being particularly mindful to avoid tearing open any polyps. This can be easier said than done, as the dense colonies formed by this species can virtually glue together pieces of rock. For this reason, thick rubber gloves (not thin latex ones, which can easily tear) should be considered required equipment, as are safety glasses and a respiratory mask with carbon filters. And don’t forget to open every window and immediately take the rock outside to the nearest dumpster. If this seems extreme, it’s not. One promising finding which has only recently been reported (Tartaglione et al 2016) is that activated carbon can almost entirely eliminate palytoxin from aquarium water. In this study, polyps of P. cf toxica were found to have poisoned an aquarist (via the aforementioned boiling water method). Researchers collected samples of water from this aquarium and subjected it to activated carbon; after 24 hours, more than 99% of the palytoxin had been removed. Of course, this study was done under ideal conditions with fresh carbon. Given that most aquarists change their carbon rather infrequently (on average, anywhere from every two weeks to practically never), it’s not wise to rely on this sort of chemical filtration to eliminate the risks posed by palytoxin. The effectiveness of activated carbon depends considerably on the quality of the product used and the manner in which it is used (e.g. in a bag vs. in a reactor), and, even then, its ability to remove substances from the water column falls off a cliff after just a few short days of use, if not sooner. P. cf toxica is not to be trusted. Proceed with caution if this coral is in your tank. 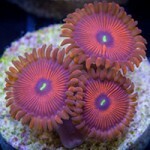 So, to summarize all of this: most zoas and palys won’t kill you, but some can. The worst of the bunch is P. cf toxica, which can spread like a plague and is, in practice, impossible to remove safely without exposing oneself to palytoxin. Activated carbon neutralizes palytoxin, but, in practice, this won’t reliably work in an aquarium, and, even when it does remove palytoxin from the water column, there is still going to be plenty of this substance lurking on the coral itself. 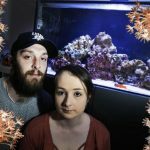 Given the potential risks posed by Palythoa and the general lack of awareness most aquarists have concerning this, perhaps the most prudent course of action would be for those directly involved in the retail sale of corals to simply stop selling them. Given the rather laissez-faire status quo of things, it’s probably only a matter of time until somebody finally dies from palytoxin exposure. I would argue that, for the same reason that stonefishes and blue-ring octopodes are not available, maybe now, with so many documented instances of this coral causing severe harm to unwitting hobbyists, those directly involved in the aquarium industry should come to a consensus that Palythoa really has no place in captivity and impose a ban on its collection, importation and sale.